A repertoire based on the Najdorf variation and common tournament Sicilians. Has many lines for the main classical variations, the poison pawn variation, and the English attack. Also has the Fischer sozin, Amsterdam. Etc. It has lines from the Smith Morra gambit- popular in rapid tournament play and street play, it has the closed sicilian and the Grand Prix attack all covered and explain. It contains consistent lines (Not following my past mistakes.) and it will be updated with more levels and variations depending on what people want. 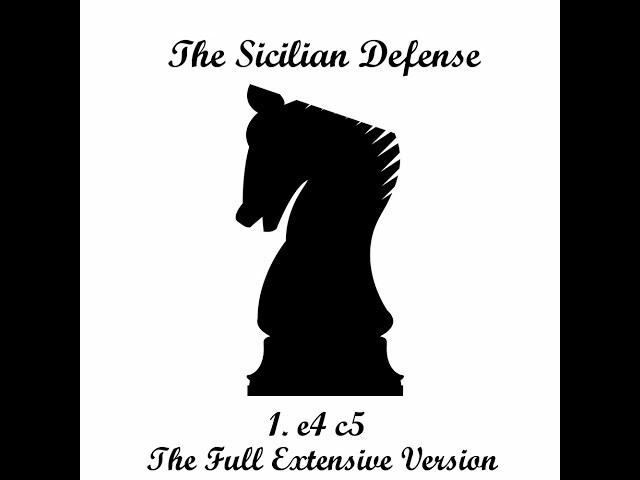 If you want to be an excellent player in the sicilian- or you just have trouble remembering 10+ moves of theory. This is the repertoire for you. If you have issues remembering forced main lines, then this is for you. If you have problems with closed sicilians like 3. f4. Then this is the perfect repertoire for you. 4.5 out of 5 stars, based on 12 user ratings. Break the Rules: Play the Trompowsky! Dodgy's Sicilian Tactics - 1000 Puzzles!